Natural Linen bedding is widely considered to be the most luxurious bedding there is. Why is that? Why do so many celebrities, 5-star hotels and trendy lifestyle magazines always use and feature linen bed sheets, pillows and duvets? Made from natural flax fibres, linen has been grown for thousands of years and is one of the world’s oldest fabrics. So, many generations before us have known and appreciated qualities of linen. So, what are the reasons to buy linen sheets and linen bedding? Linen fabric is amazingly soft and comfortable, it has to be felt to be fully appreciate how wonderful a product it is. Linen has high air permeability and heat conductivity properties – that means, it is a breathable fabric – keeping you warm in the winter and cool in the summer. Linen can absorb as much as 20% of its weight in moisture before feeling wet… thus, always having a pleasant, fresh, cool feeling when touched or slept on. Linen sheets have a distinct, distinguished texture and delightful softness to them… in fact, becoming even softer with each wash. It is anti-static and can even help soften and preserve the skin due to its natural pH balance. A linen sheet will actually repel dirt, so you can have those perfect white sheets! Linen bedding is twice as durable as cotton bedding and can last for decades (an investment). 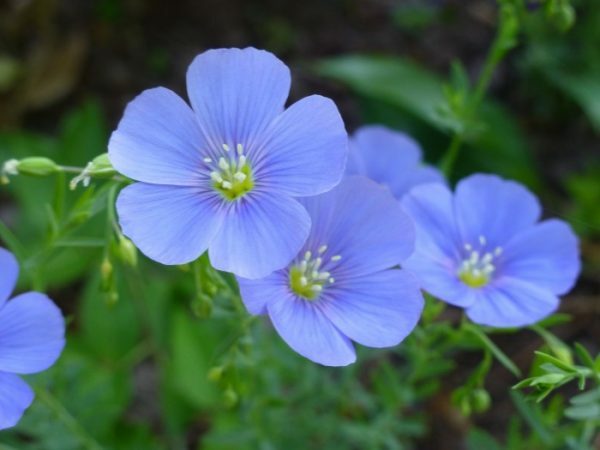 It is environmentally friendly – all the flax used to make linen is used in other ways – the seeds are pressed to make linseed oil which is used in floor coverings, such as linoleum, and paint. Linen is a renewable resource and it needs no irrigation. Linen is also fully biodegradable. We spend a significant portion of our lives asleep, so don’t settle for anything less than some luxury bedding made from natural linen fabric. Create a relaxed bedroom retreat that exudes natural style. Sink back into sumptuously soft linen sheets and duvet covers and sleep comfortably whatever the season. We believe you will sleep better – and feel better – enveloped in luxurious linen from The Back and Neck Bed Shop. This entry was posted in Sheets. Bookmark the permalink.